Le Shop is a fashion boutique found near the coast of Liberia, Guanacaste in Costa Rica. Recently remodeled, it attracts all kinds of shoppers, from locals and city professionals, to tourists and foreign residents. We spoke to manager Fabian Kelso to find out more about Le Shop, and how they’ve used Vend to stay ahead of the curve. María Fernanda (Fabian’s wife) opened Le Shop in 2008 following the success of its mothership store, Nerfertiti Moda. Le Shop meets the fashion needs of younger ladies, while Nefertiti Moda accommodates more mature women. Le Shop is committed to bringing great fashion, style and service to the beautiful city of Liberia. 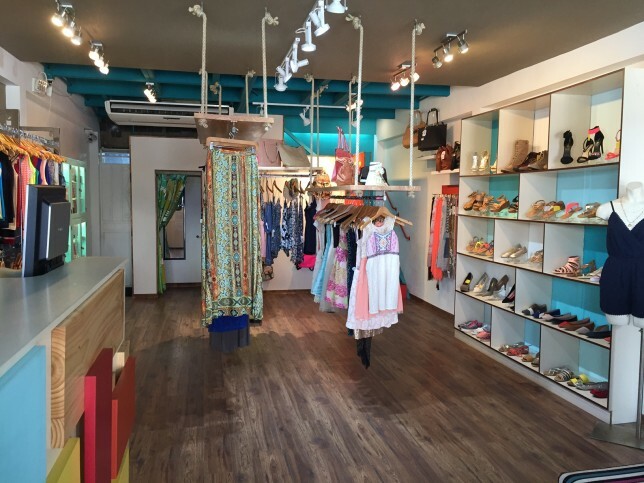 With many tourist attractions nearby, and lots of warm weather, Le Shop sits within a thriving and ever-expanding community looking for the latest trends in fashion and entertainment. Fabian and María’s passion comes from their unique community, and their desire to provide new and exciting shopping experiences for customers. “Vend was referred to us by an IT professional after we had analyzed almost all local software suppliers within our reach. We wanted to modernize our stores, and because of that we were looking for software that allowed us to access and manage our stores from any location and help us provide great customer service. Vend provided that and more. Now we can do planning from wherever we want! We would definitely recommend it to other retailers,” says Fabian. Fabian and María have a long history in business and retail. We asked them what they’ve learned, and for any advice they’d give to retailers like themselves. They emphasized the importance of taking the time to fully train your staff, so that the customer’s experience is always positive, plus having reliable software. The post Vender of the Week: Le Shop appeared first on Vend Retail Blog.